1) Preheat the oven to 200°C, gas mark 6. Line a large baking sheet with baking parchment. 2) Melt the butter in a large frying pan and fry the breadcrumbs and herbs for 2-3 minutes. Add in the dried fruits, walnuts and the wine, season to taste. 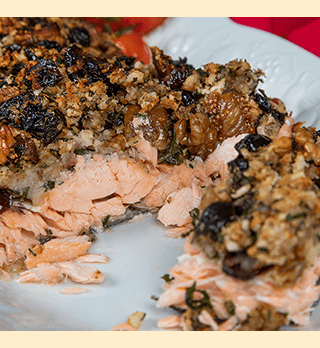 3) Place the salmon on the baking tray and press the breadcrumb mixture on top. Bake for 30-35 minutes until golden and cooked throughout. Alternatively, press the topping onto 6-8 salmon fillets. This topping is also great on chicken breast fillets. 1) In a large bowl, toss the chicken with the garam masala, garlic powder, salt and pepper. Put to one side. 2) Heat the olive oil in a frying pan over a medium heat and sweat the onions for 5 minutes. 3) Add the chicken pieces and seasoning, then cook for a further 5 minutes. Remove the mixture from the pan and place in a bowl. 4) Add a little of the chicken stock into the pan and bring to a simmer to deglaze the juices and spices. Scrape up the tastiest bits from the bottom of the pan, then stir in the Crazy Jack Apricots, jam and vinegar. Add a little more chicken stock, then add the tabasco. 5) Place the chicken pieces back in the pan and simmer gently until cooked through. Stir in a good knob of butter before serving with rice and the Naan bread. 1) Lightly toast the blanched almonds in a dry pan and set aside. 2) Heat the oil, add the onion and garlic and fry gently for 5 minutes. 3) Add the korma powder and salt and fry for a further 2 minutes. 4) Add the cauliflower and carrot, stir to coat evenly. 5) Add the water, bring to the boil and simmer for 6-8 minutes. 6) Stir in the ground almonds, cook for 2 minutes to thicken. 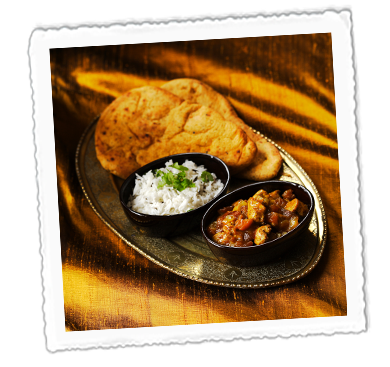 7) Stir in the blanched almonds, heat through and serve garnished with coriander on a bed of Crazy Jack Basmati Rice. 1) Melt the butter in a large non-stick saucepan over a medium heat. Add the onion, rice, cardamom and salt and pepper, and sauté for about 8 minutes, or until the rice is toasted. 2) Now stir in the stock, Crazy Jack prunes and almonds and bring to the boil. Reduce the heat to medium-low. Cover and simmer for about 25 minutes, or until the stock is completely absorbed. 3) Remove from the heat and leave to stand for 5 minutes. 4) Fluff with a fork, season well, then stir through the herbs and drizzle with olive oil before serving. 1) Toast the Crazy Jack Pumpkin Seeds in a dry frying pan for 5 minutes or so, making sure they don’t burn. Set aside. 2) Heat the oil in a deep heavy based saucepan. Add the onions and garlic and fry until soft and golden. 3) Add the salt, cumin, coriander, turmeric and red chilli powder to the onion and garlic. Cook for a minute then add the tomato. Cook until the sauce begins to thicken. 4) Now add a little water and stir. 5) Tip in the chickpeas and stir again. Cover and simmer for 5 minutes. 6) Add the ginger and garam masala and cook for another minute. 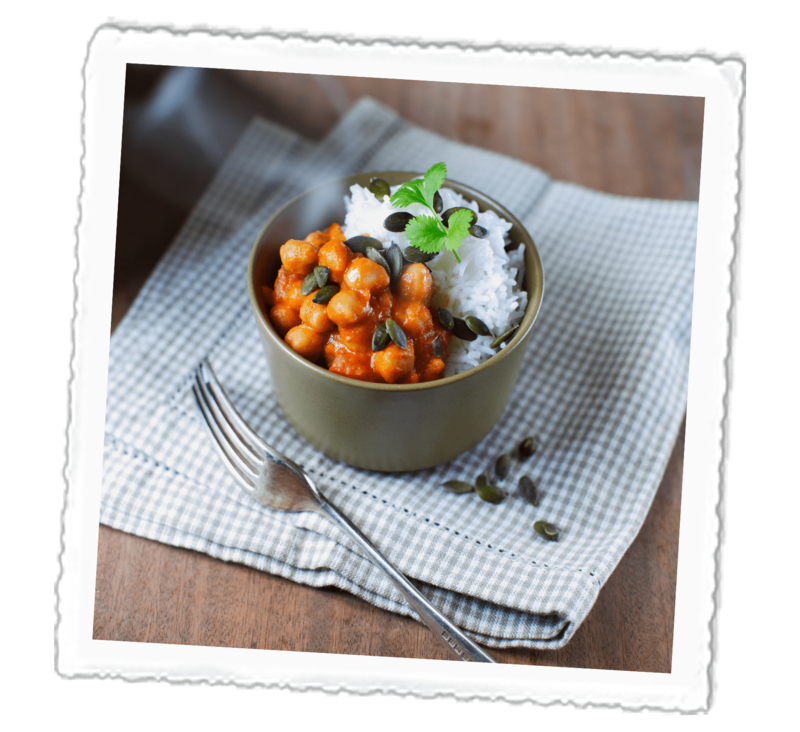 7) Scatter with the toasted pumpkin seeds and coriander and serve with basmati rice. 1) Place the bulgur wheat and stock in a small saucepan, cover and bring to the boil. Take off the heat and allow to steam, covered for 5-7 minutes or until tender and liquid has been absorbed. Allow to cool in the pan. 2) Mix in the tomatoes, parsley, apricots and lemon juice. Gently stir in the feta and chicken and serve. For a vegan option, omit the feta and chicken and use vegan stock powder. 1) In a large bowl, mix together the pork mince, Crazy Jack Apricots, onion, chilli powder, the mustard, egg, breadcrumbs and parsley. Season well with salt and pepper and shape into four burgers. 2) Heat the oil in a large pan and fry the burgers for 5 minutes on each side. 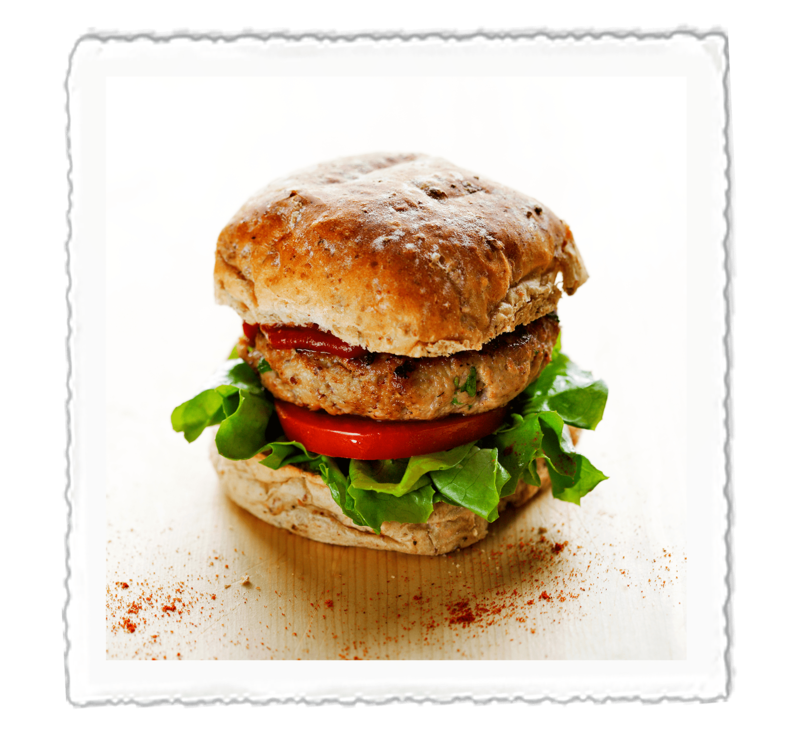 3) Serve in fresh wholemeal buns with lettuce and tomato. 1) In a large saucepan, heat the olive oil and gently fry the onion until soft. Add the garlic, pepper, aubergine and courgette, and fry for 2 minutes. Add the spices and stir well for a further 2 minutes. 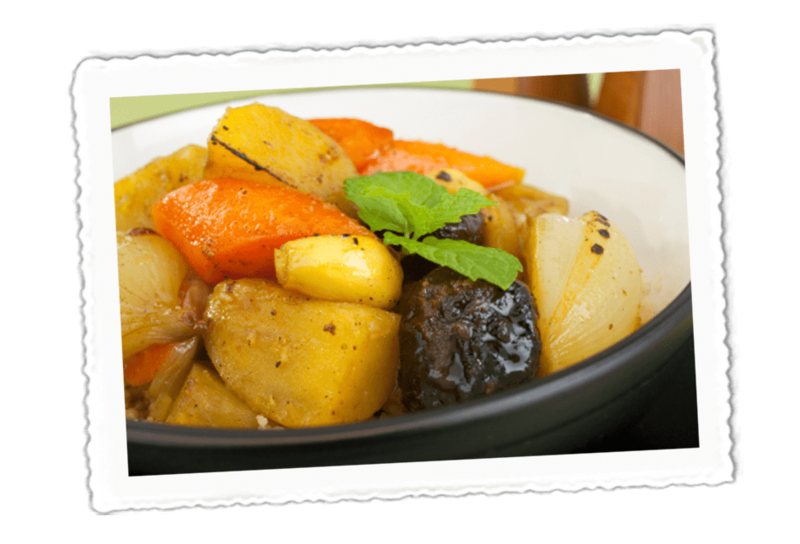 2) Add the remaining ingredients, stir well and cook until the apricots and carrots are soft. 3) Season to taste and serve with couscous. 1) Blanch the tomatoes in plenty of boiling water, then remove the skin and seeds and chop the remaining flesh. Put to one side. 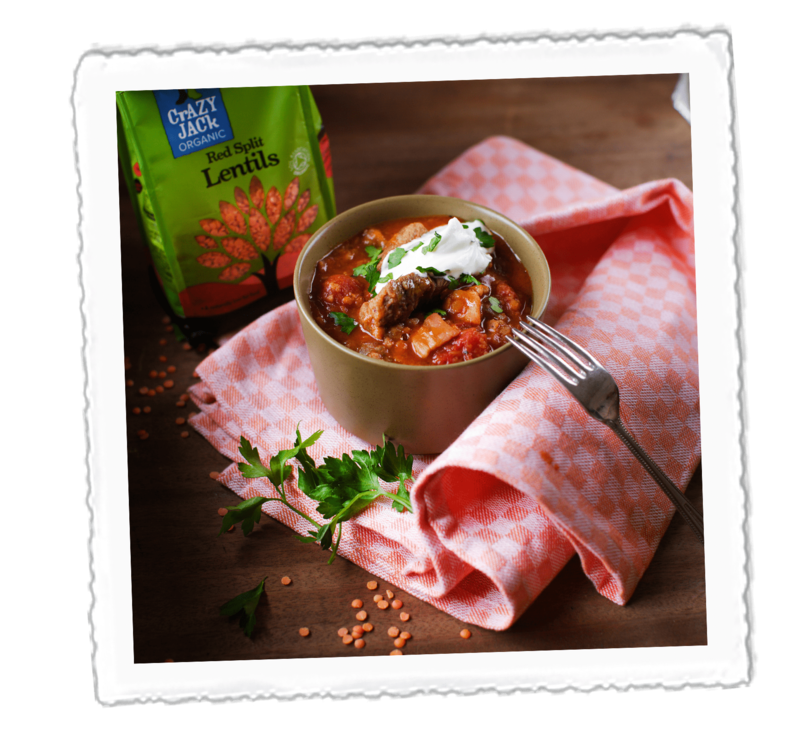 2) Place the Crazy Jack Lentils in a pan of cold water, bring to boil and simmer for 25 minutes until just tender. Drain and put to one side. 3) Heat half the oil in a frying pan and fry the onion for 2-3 minutes until soft. Add the bacon and lamb and fry for a further 2-3 minutes. 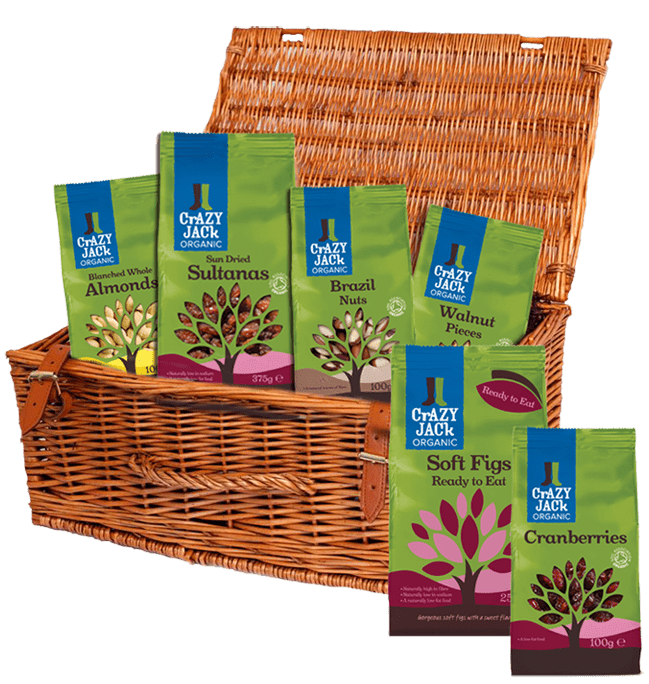 4) Add the spices, crumble in the stock cube, then add the prepared tomatoes, Crazy Jack Lentils, tomato puree, olives and herbs and pour over 75ml of boiling water. 5) Bring the mixture back to the boil, then reduce the heat and simmer for 8-10 minutes. Season to taste. 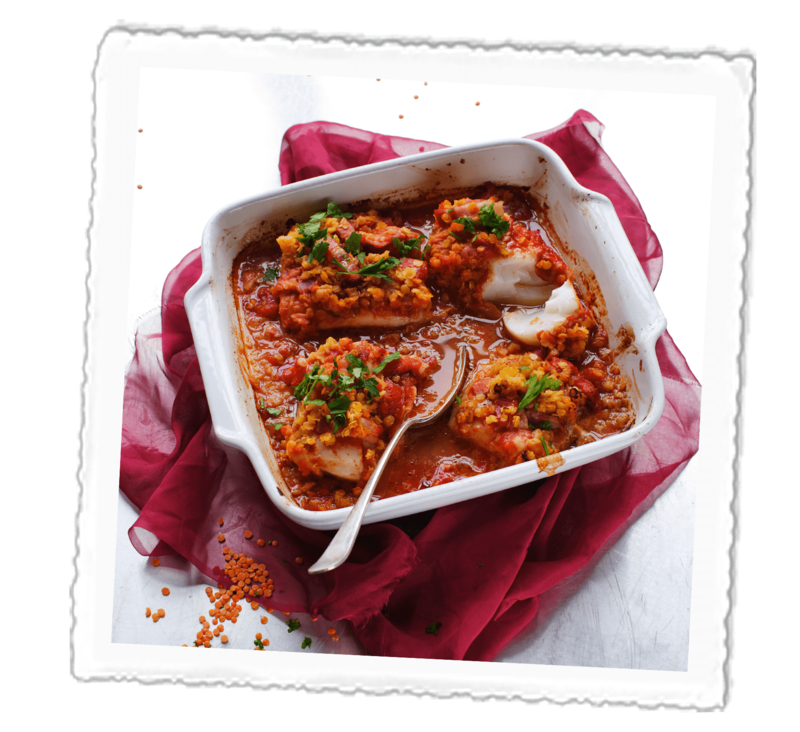 6) To serve, spoon into two bowls, add a dollop of yoghurt and sprinkle over the chopped parsley. 1) Preheat the oven to 190°C, Gas Mark 5. Add the short crust pastry case to a 23cm loose-bottomed flan tin. 2) In a medium sized pan gently fry the leek and garlic until soft. 3) Add the lentils, stir to coat, and then add the thyme and milk. Bring to the boil and simmer gently for 40-50 minutes stirring occasionally until the mixture is very thick. Leave to cool. 4) Beat the eggs and add to the lentils with 50g cheese. 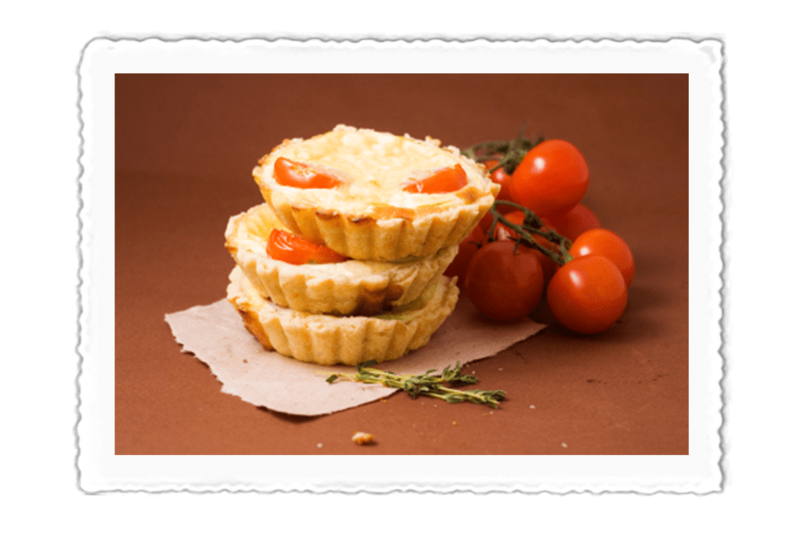 5) Place in the pastry case and arrange the tomato slices on top. Sprinkle over the remaining cheese and bake for 45 minutes, or until the filling has browned and set. 6) Leave to cool in the tin for a few minutes before serving. 1) Place the Crazy Jack Lentils in a pan of cold water, bring to the boil and simmer for 30 minutes until just tender. Drain and put to one side. 3) Drizzle a small roasting tin with a little olive oil and add the cod steaks, skin-side down. 6) Scatter with fresh herbs and serve immediately. 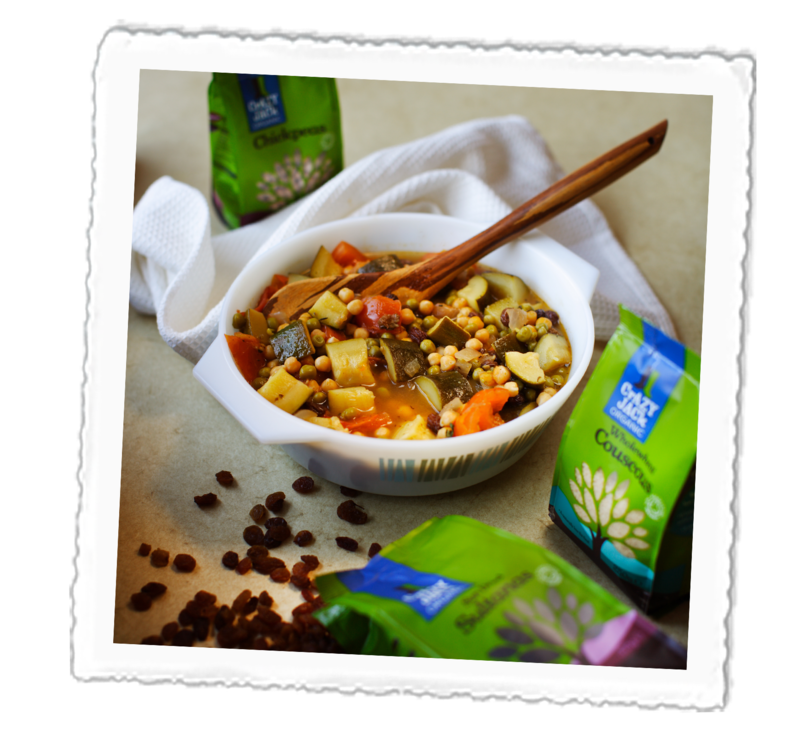 3) Stir in the spices, then add the courgettes, tomatoes, cooked Crazy Jack chickpeas, sultanas and stock. Bring to boil, then cover and simmer for 10 minutes. 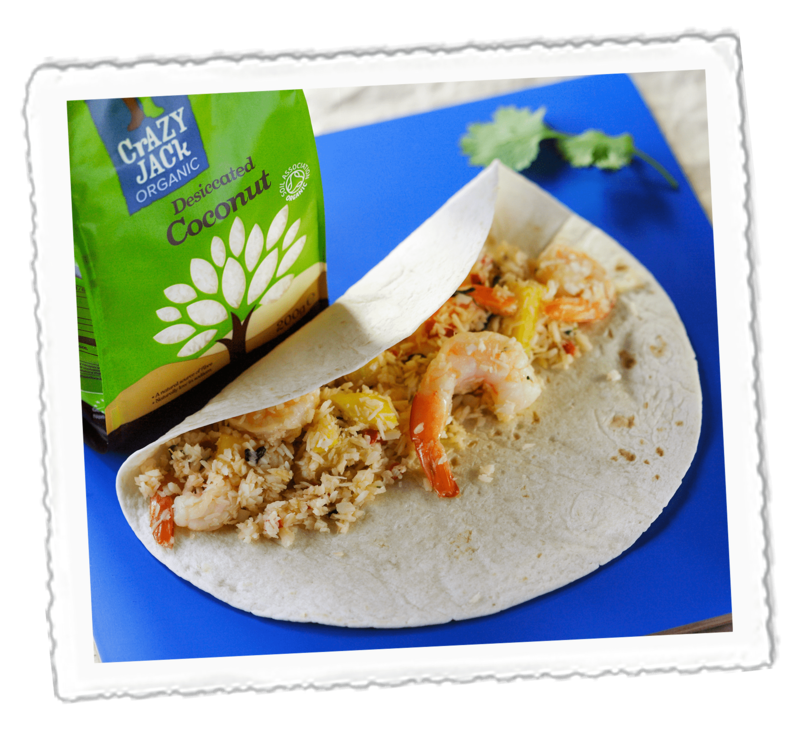 4) Sprinkle with coriander and serve with Crazy Jack couscous. 1) Place the couscous and sultanas in a bowl and add 200ml of boiling water. Cover well and set aside for 10 minutes. 2) Place a large pan on a medium heat and add the pistachios. Toast for 2 minutes, or until they are darkened slightly, then transfer to a plate and set aside. 3) Place the pan back on a high heat and add the olive oil. Add the lamb mince to the pan and crumble in the stock cubes. Cook for 4 minutes or until it starts to brown. 4) Add the tomato paste, baharat and 100ml of boiled water. Cook for a further 5 minutes, or until crispy and cooked through. 5) Meanwhile, chop the mint finely and mix half with the yoghurt. 6) Chop the toasted pistachios finely. 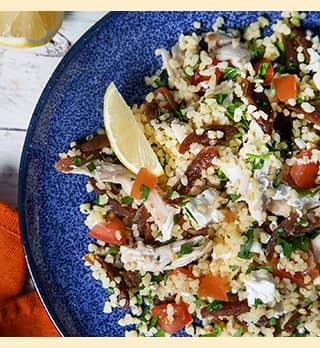 7) Fluff the couscous with a fork. 8) Mix the remainig mint and the pistachios through the couscous. 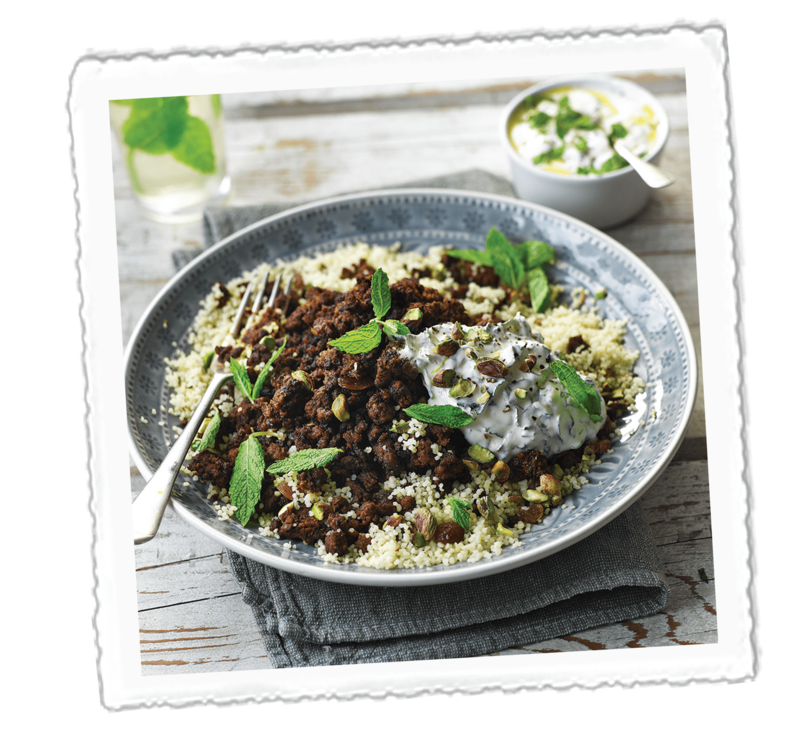 9) Plate the couscous, top with the crispy lamb and add a dollop of minted yoghurt. 2) Peel the ginger, remove the stem and seeds from the chilli and chop both finely. 5) Add the coconut milk, 200ml water, rice and a pinch of salt to a saucepan and bring to a boil. Once boiling, reduce the heat and simmer gently with the lid on for 15-20mins or until all the water has been absorbed. 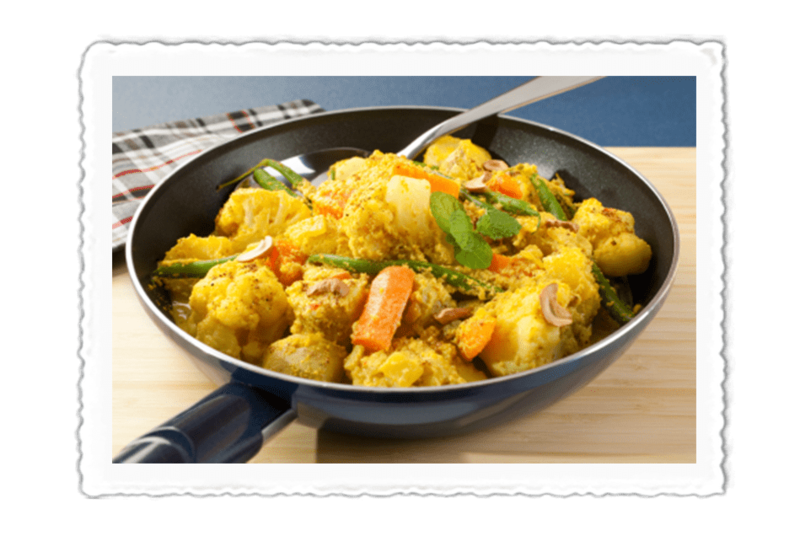 6) Meanwhile add 1-2tbsp of vegetable oil to a pan on a high heat; and once hot add the ginger, chilli and cumin seeds; cooking for 1 minute, stirring constantly. 7) Add the carrot and daikon to the pan and cook for 2 minutes. 8) Add enough boiling water to the pan to just cover the vegetables and reduce the heat to simmer for 5 minutes, stirring regularly. 9) Crumble the stock cube over the pan and stir to dissolve. 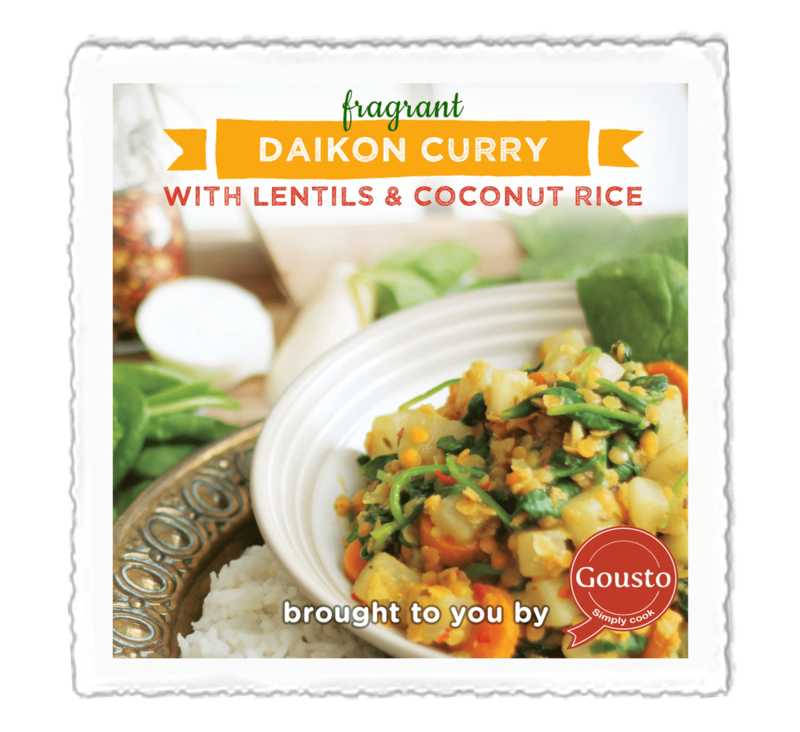 12) Check that the daikon and lentils are tender. If not add a bit more water and cook for a little longer. 13) Add the spinach, stir through and cook for 1 minute or until wilted. 14) Add 1-2tbsp of water of the curry is too dry. 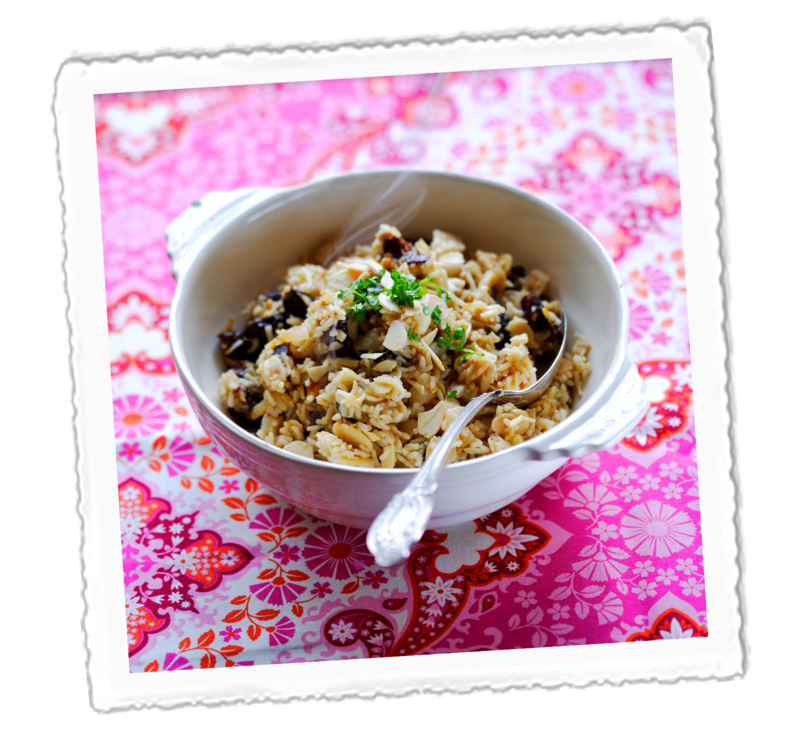 15) Serve with coconut rice and enjoy! 1) Preheat the oven to 180°C/360°F/Gas Mark 4. 2) Put the parsley, tarragon, lemon zest, oil, almonds and seasoning into a food processor and process until well combined, but completely smooth. 3) On a large greased baking tray, arrange a single layer of filo sheets into approximately a 40cm square. You can overlap sheets in the middle of the tray. Top with a second layer of filo pastry in the same way. 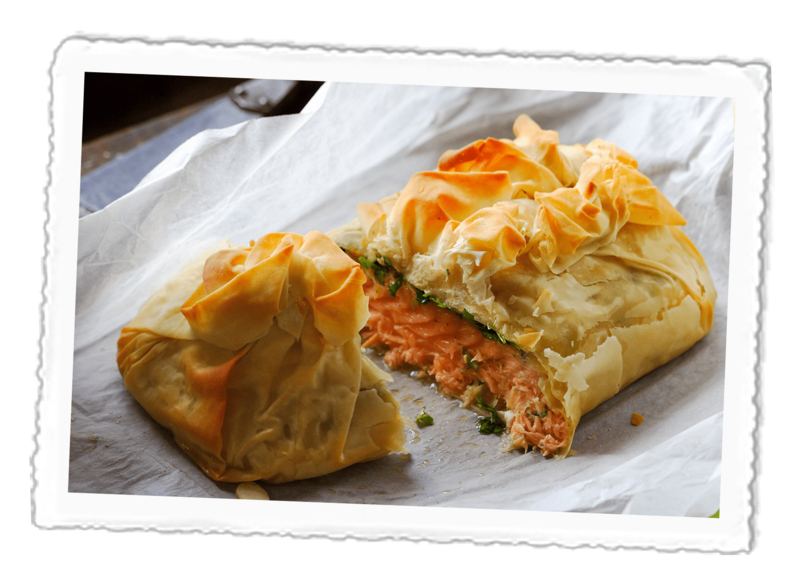 4) Place the salmon fillet in the centre of the pastry and top with the herb mixture. 5) Brush the pastry around the salmon with oil, then gently pull the first layer of filo up and over the salmon, lightly scrunching the pastry at the top into frills. Repeat with second layer of pastry. 6) Use any remaining filo to patch up any holes, or to add more texture to the top of the salmon roll, the brush the frills with a little more oil. 7) Cook in the oven for 15 minutes until golden, then simply slice and serve. 1) To make the wrap filling, cover the coconut with a little boiling water and set aside to soak for 30 minutes. Squeeze out the excess water. 2) Fry the coriander, garlic and chillies in the sunflower oil for two minutes, then add the prawns and coconut and continue cooking for 10 more minutes. 3) Season with salt and pepper, add the fish sauce and brown sugar, then the mango. 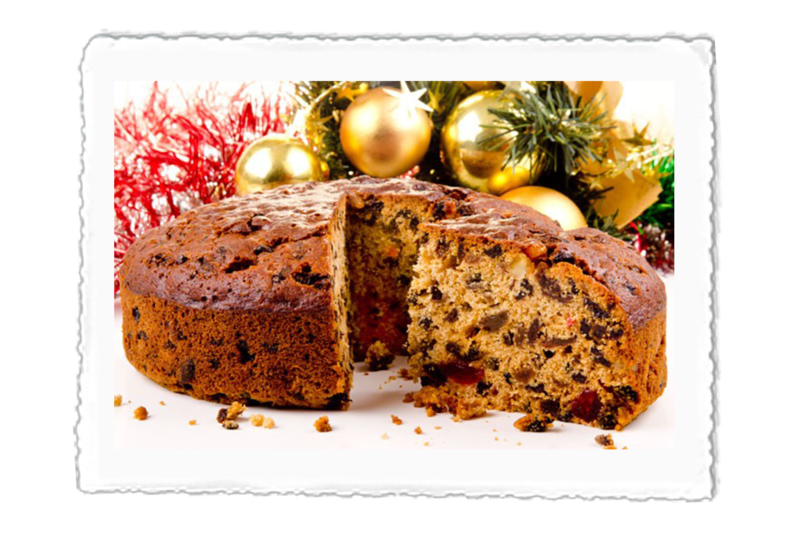 4) Stir through, remove from the heat, wrap and serve! 1) Heat the oil in a medium saucepan and slightly brown the onions. 2) Add the garlic and mushrooms and fry gently for about 5 minutes. 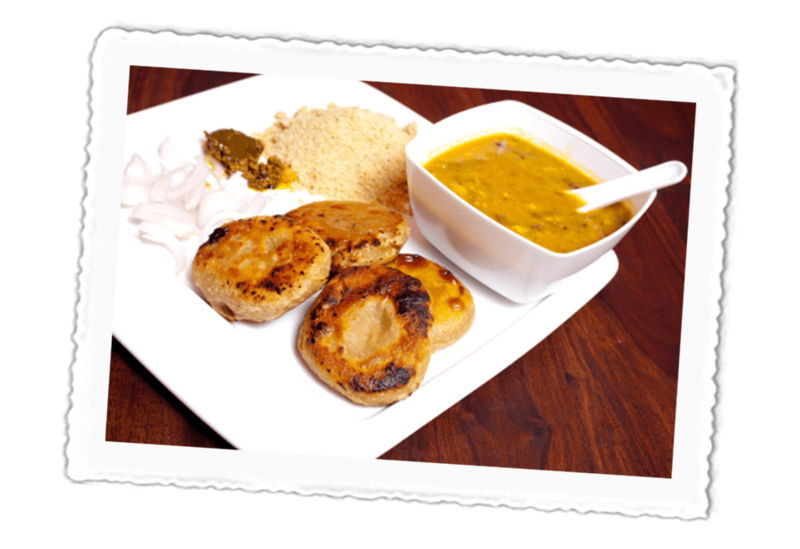 3) Stir in the lentils, coating evenly, and add the curry powder. Stir to soak up the juices and add water to cover the lentils. 4) Simmer gently with the lid on for 35-40 minutes until all the lentils are soft, stirring occasionally. Check halfway through the cooking time and add more water if necessary. 5) When cooked, toss in the spinach leaves, adjust seasoning to taste and serve with Crazy Jack Basmati Rice. 1) Stir together the soy sauce, lime juice and sugar. Set aside. 2) Mix the Chinese 5 spice with the sesame oil. Slice the chicken breasts and toss in the spicy oil. 3) Stir fry for 5 minutes. Add the pak choi and fry for 2 more minutes. 4) Tip in the nuts and seeds, a pinch of dried chilli and finally the soy sauce mixture. 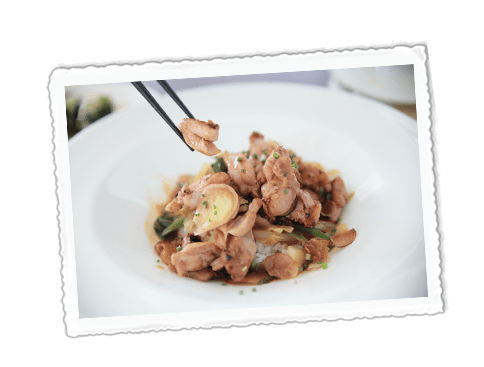 5) Serve immediately with noodles or rice.